The President of India has asked the stakeholders to address the imbalance without compromising on quality. NEW DELHI: Expressing concern over the low representation of women in the higher judiciary, President Ram Nath Kovind on Saturday urged stakeholders to address the imbalance without compromising on quality. He also advised the judiciary to showcase conduct of the highest order, without making any reference to the recent courtroom drama over a corruption case involving a former Odisha High Court judge. “Public life today is a glass house. There is a relentless demand for transparency and scrutiny. Our legal fraternity needs to be mindful of these legitimate urges of the people, the ultimate masters in the democracy,” the President said. 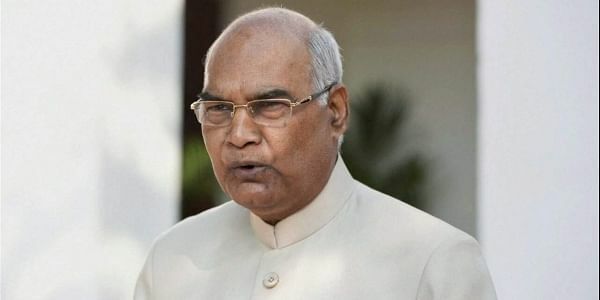 In his inaugural address at the two-day meet organised jointly by the Law Commission of India and NITI Aayog on the National Law Day, he said: “There is unacceptably low representation of traditionally weaker sections such as OBCs, SCs and STs, especially in the higher judiciary.” Kovind is India’s second Dalit President. “Of the 17,000 judges in our subordinate courts, high courts and the Supreme Court, only about 4,700 — roughly one in four — are women,” he said. The President also asked the higher judiciary to groom district and sessions judges and hone their skills so that more of them may be elevated to the high courts. “While we take pride in our courts, it is a paradox that the poor often shy away from a legal battle, worried about the duration and cost; And the well-off sometimes use the judicial process to delay resolution to issues they simply do not want resolved,” the President said. Lok Sabha Speaker Sumitra Mahajan also seeks a review of the collegium system.